The holiday season is here! In the midst of decorating, finding the perfect gifts, making memories and spending time with family and friends, those to-do lists can get overwhelming. Am I right? Cut yourself a break and really enjoy the merry making. Every year, we host at least 2-3 holiday get-togethers at our home and some serious effort, planning, and maybe a little bit of strategy really helps everything run smoothly. 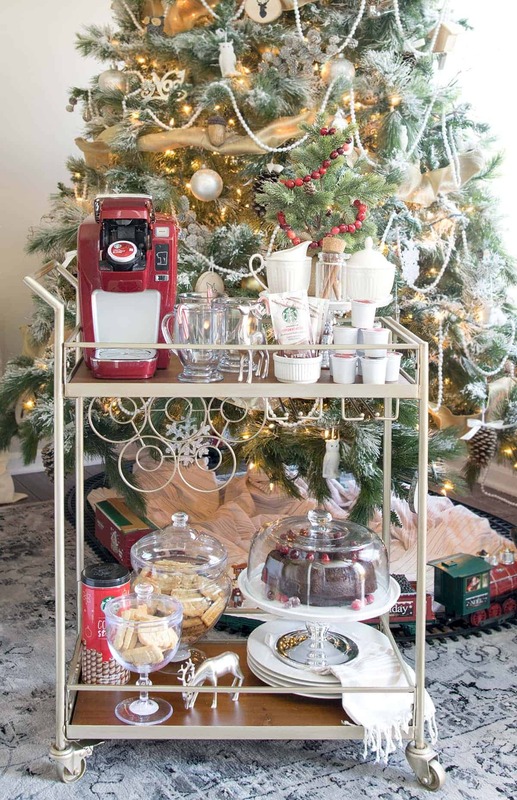 This year, we kicked off our holiday season with a dinner party featuring a fun coffee and dessert bar. 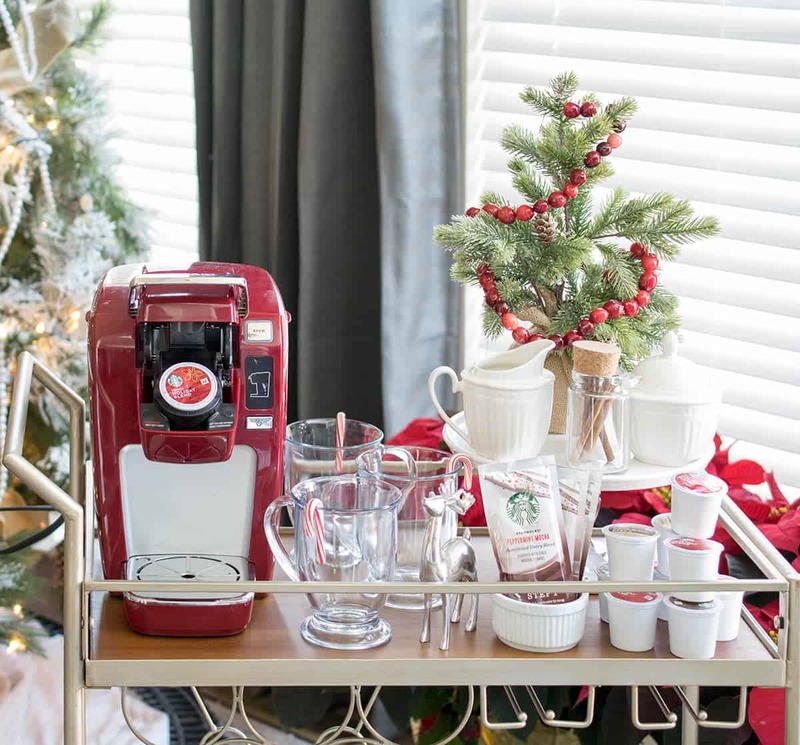 If you have ever thought of hosting your own party or simply gathering with friends for an in-home latte bar, I hope you’ll be inspired! 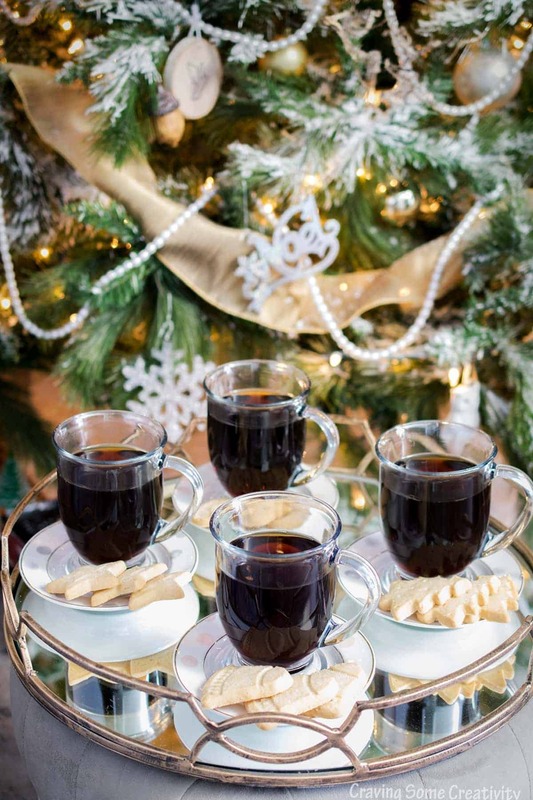 So today, I am sharing a few tips for hosting during the holidays to keep you less stressed and your guests joyful. This may actually be a slightly controversial tip since the kitchen is the heart of the home and you want to hang out with your guests. It’s pretty much a fact that people tend to gather around the food and drinks. However, if you are busy or the kitchen is small, you don’t want to be climbing over people to get things done. I have a rolling bar cart that I keep stocked. I find that particularly with guests who may not know each other, the first thing they will ask is “Do you need me to do anything?” This phrase is actually more than polite conversation. It can make them feel important, needed, and engaged. Of course, if I am in the middle of carving up the main entree, my focus is on that. Usually, I will try to pair up guests who may not know each other and have them help each other with a task. Some of the more common ones I use would be getting and filling drink orders for dinner or giving them the responsibility of making sure the snacks and coffee bar are well stocked. I love that holiday decorations pull double-duty during holiday parties. It takes the stress off me because I don’t have to shop for party decorations, I already have them! But it’s totally ok if you don’t have every single decoration out just yet. 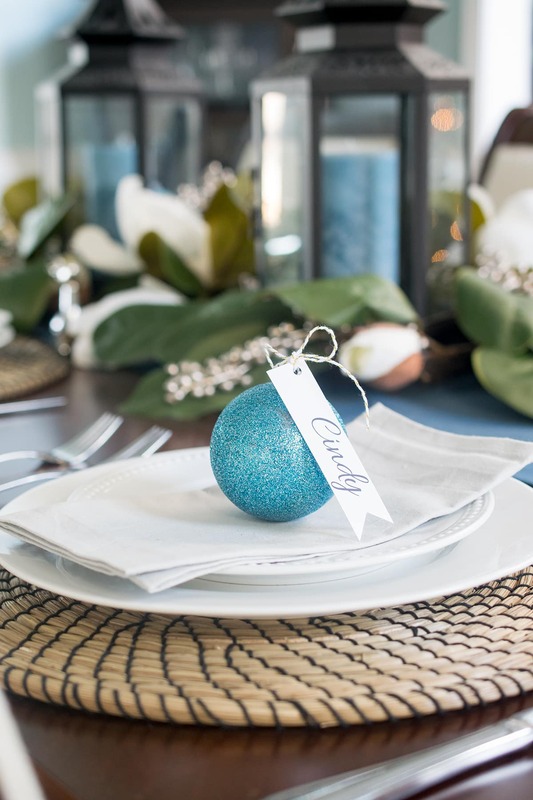 Select a few areas that highlight where guests will be and don’t worry about the rest. For example, a mantle can provide an excellent backdrop for a buffet, or drink station. Hover over the above/below image to shop directly from this post. Let me start by saying this: You do not need to make everyone’s absolute favorite dish. I usually have a few recipes in my back pocket for hosting parties that are my reliable favorites. Of course, I am always wanting to try something new, but keeping it to just one new item is key. Having multiple dishes that you have never done before is asking for disaster and will make the day of the event that much more stressful. 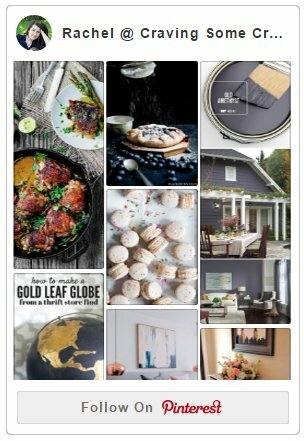 Let me speak from experience, lay out any and all serveware and dishes you may need. You do not want to realize the day of the party that you are short on forks. Now, normally I am not fancy enough to put out place cards or seating charts (this is supposed to be stress-free after all! ), but I wanted to give the table a bit more color and festive vibe. I had these pretty ornament balls leftover so I cut out some name tags and voila, instant holiday twinkle. Happy Holidays and have a joyful hosting!